Some language learners are very self-directed and independent. They have a goal in learning a language and they are very focused. They also have good analytical skills. Sometimes, they approach language learning like learning a mathematical concept. They try to find the formula and pattern for some statements and word formations. They just like to challenge themselves. One pitfall for these kinds of learners is that they also easily get discouraged. Their interests must be partnered by a teacher that can entertain their queries fast and explain deeper grammar. These kinds of students are very challenging to teachers because they encourage teachers to be creative and to diversify his or her methods and strategies. I have encountered these kinds of students several times already. They can be annoying sometimes, because they like to monopolize discussions and like to be one step ahead of the others, however they give me so much pride especially if they can use the language effectively. Lately, I have discovered a way for them to use the higher grammar and complex patterns that they want to use in their discourse. I discovered that aside from requirinq them to create their own self-introduction video, I will also require them to write their own bloq. This bloq is kind a like their own "diary" or "journal." Students have the freedom to write whatever content they want, but they must incorporate the knowledge they learned in the formal "chalk and board" instruction. 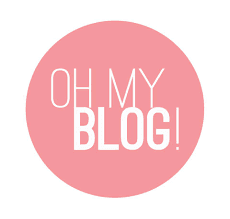 One of my students created her blog already and I am impressed at the content of her blog. I was so impressed because what she wrote is not the usual content that I expected from a Cebuano language learner learning the basics of the language. It is really the work of someone who is very focused, darinq, and experimental. If you have time folks, do visit etsuyo.blog.com and read her Visayan/Binisaya blog and leave an encouraging comment please.